When purchasing a product it’s always good to know what you’re getting. Solar energy systems are no different. The solar panels are the most visible but the other components are also important. Although there are other types of technologies and components that may be used, these are the most commonly used for grid-connected residential pitched-roof solar PV systems. The solar panels absorb sunlight and convert it to Direct Current (DC) electricity. Each panel is made from multiple solar cells, ranging from 60 to 96 cells per panel. The cells are made of a silicon material and when sunlight hits it the electrons start flowing and electricity is produced. Solar panels have different levels of efficiencies. Efficiencies translate into how much electricity is produced within the limited space on each panel. The current, most commonly used residential, solar panels range from 280 watt to 370 watt. More often than not, the higher efficiency panels come with a higher price tag. This means you are paying more per watt for the same electric production. It can be worthwhile if your goal is to have maximum production. Homeowners sometimes choose this option if they have very high usage and/or limited space on their roof. Another factor is the aesthetics. The frame around the panel can be silver or black. For most people a black frame looks nicer than silver. The cells themselves (the boxes) can either be blue or black. In addition, the lines in between the cells (the backsheet) can be white or black. A black/black/black solar panel has a nice sleek look to it. The aesthetics can be less of a concern it the system is installed in a less visible place, i.e. the back roof. The inverter converts the DC electricity that the solar panel produces into AC electricity that your house uses. The commonly used inverters can be categorized as: String, Micro and String with Optimizers. A string inverter is a unit usually installed on the side of the house. Multiple panels are wired in a “string” and connected to the inverter. 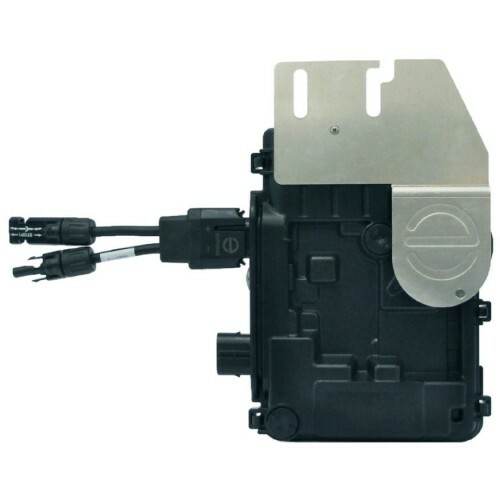 The electrical current will be DC until it reaches the inverter, whereby it will be inverted to AC. .
Micro inverters are small inverters that are connected to each panel. The inversion from DC to AC happens at that point near the panel. The AC power is then sent down to the interconnection point and on into the house. A string inverter with optimizers consist of a string inverter, which inverts DC to AC, and small units (similar in size to micro inverters) that attach to one or two panels. String inverters can be a good option in a lot of scenarios but can limit production in certain cases. Value is an advantage that string inverters possess along with ease of troubleshooting issues occur. The downside is that the power generated is affected by the lowest producing panel.. This means that if one section of the array is shaded it can affect the whole systems production. Micro inverters, on the other hand, are not affected by the other panels in the system. This also allows flexibility in design, since a system done with micro inverters isn’t limited to string sizes requirements that a string inverter has. 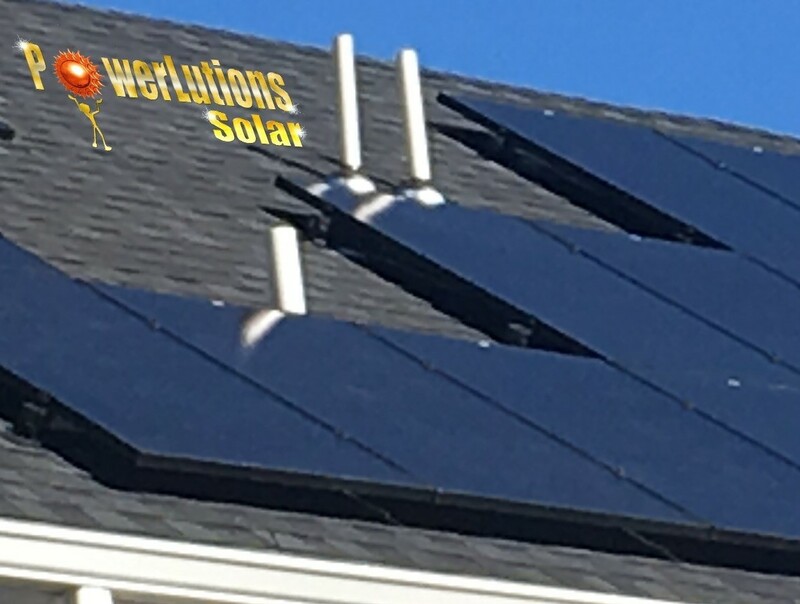 This means an installer can install one or two panels on a small part of the roof without affecting any other part of the system. Inverters with power optimizers are beneficial in the same way as micro inverters. They are able to have each panel optimized in a similar way as a micro inverter, even though the actual AC to DC inversion is done in a central unit. Another solar panel are AC Panels, which basically means a micro inverter is pre-installed on the panel, instead of the solar installation company installing them onsite. The racking attaches the solar panels to the roof. 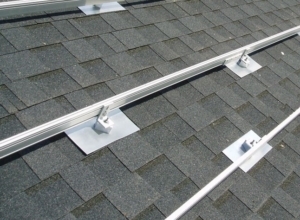 Rail-based systems have the panels clamped to the rails, the rails are fastened on brackets that attach to the roof. The brackets have flashings to seal the penetrations. On a railless system the panels are connected more or less directly to the brackets. The solar production can be viewed on the solar meter or inverter display. Other types of monitoring allow the homeowner to login to an online portal to see the production. How often the data is updated can depend on the connection. There are many brands manufacturing each part of a solar system and it is important to have an understanding of the different components. This will ensure getting the best possible value. Be an educated consumer when you go solar.